Blade Control: Squeeze to start the blade spinning. Release it to stop blade. Recoil Starter: Pull while squeezing blade control to start mower. Drive Control: Engages the drive to propel the mower. Cutting Height Adjustment Lever: Keeping front and back settings at same relative position ensures an even cut. Mulch Plug: Distributes clippings back to lawn to nourish grass. Side Discharge Chute: Attach to discharge clippings, rather than bagging or mulching. Don’t water your lawn for 1-2 days before cutting to get a cleaner cut. 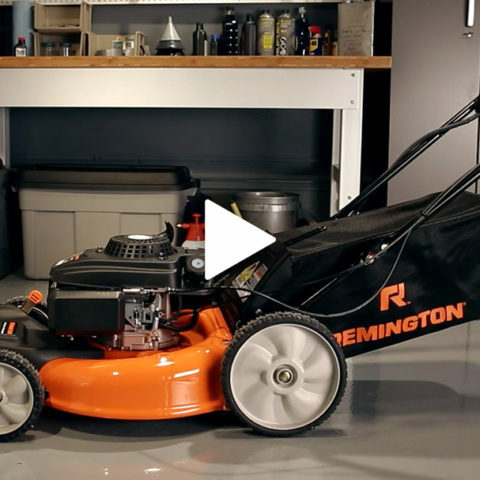 Pick up anything that may damage the mower blade, the engine, or you. Too fast and the blades may miss spots. So you don’t miss any patches. Vary your cutting path so the soil won’t compact and your grass grows straighter. Only use a grass catcher for the first and last mows of the season. Keeping your lawn the right height keeps it healthier during peak growing season. A dull blade will tear up your grass. 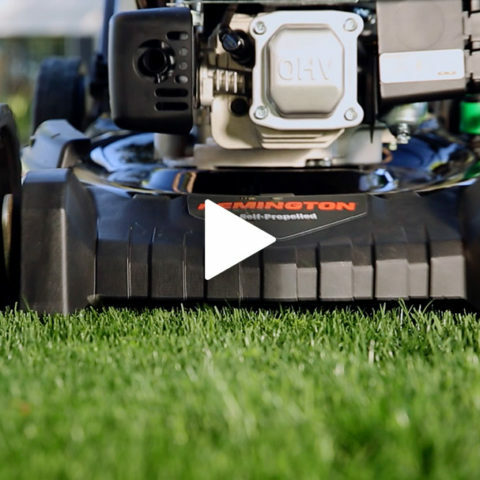 That covers the basics of lawn care and maintenance. Need any other lawn mowing tips?